How using a “commonplace” book can make you a better writer. In the weekend edition of the Wall Street Journal, author, Danny Heitman, wrote a helpful article titled. A Personal Trove of Prose. Heitman is a columnist for the Baton Rouge Advocate, is the author of “A Summer of Birds: John James Audubon at Oakley House. In this piece, Heitman suggests there is great value for all writers having a “commonplace” book. According to Heitman, a commonplace book is a small journal for recording favorite passages gleaned from personal reading. The idea is that these snippets, transcribed for posterity, might spark some insights for one’s own writing. 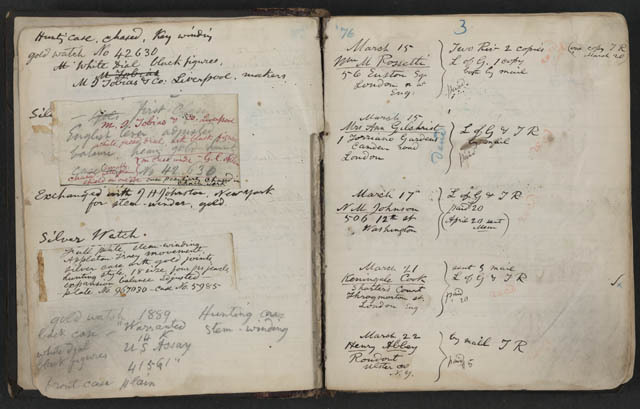 Commonplace books answered a practical need in days of old, when writing down a cherished line from a work of prose or poetry was perhaps the easiest way to remember it. The commonplace book derived its name from the ideal of a “common place” where useful ideas or arguments might be gathered. Technology has changed where this might take place. Now in place of a physical book, you may capture passages on a laptop or a tablet, but the principle is the same. If you want to be a great writer and improve your craft, read great writers and use them for inspiration. Also, examine closely what is it that captivates you about a particular text. Is it the use of specific words or the way something is described? Or is it the sentence or paragraph structure that held your attention? The point is a commonplace book allows you to go-to-school on how to write well, without ever attending a class. Heitman cites a particular writer and text that he wrote in his commonplace book and how it inspired him. Technology may change where you keep your commonplace book, but it seems most great authors have one. I plucked the passage from Welty’s essay and placed it in my commonplace book, where it quietly haunted me on repeated readings, forcing me to think about how the history of a place continues to resonate through time. Welty’s words eventually became the prologue for a small book I wrote about a particular stretch of woods where the bird artist John James Audubon spent an eventful summer of his career. For years, I have followed this practice, but until I read this article, I did not have a name for it. Do you have a commonplace book? If not, I would encourage you to start one. If you do, perhaps you could share how you have used it by leaving a comment on this blog post. ← Free e-books. Meet the authors. Online booksigning event. Tuesday, October 9th. I think I’ve been keeping these for years now – something that is not quite a book journal and not really a notebook. It helps on multiple levels, especially because I get to balance scribbling on the page with typing all the time. I had never thought of it before, but scribbling does provide an relief from typing. Sort of a way to cleanse the creative palate. Thanks for sharing. I have a little book next to my reading chair (a very comfortable lounger that seduces one to dreaming) where I note must-read books I’ve read about in the FT and inspriational passages, many from writers who have made it. When I browse through my entries, sometimes months – maybe years – later, the spark that made me save those words reignites and inspires anew. And if you want to write, you need a whole lot of sparks. Sparks are a great way to reference creative ideas. Thanks for sharing.